This volume presents eleven articles on Slavic linguistics and accentology in honor of Professor Emeritus Ronald F. Feldstein of Indiana University. 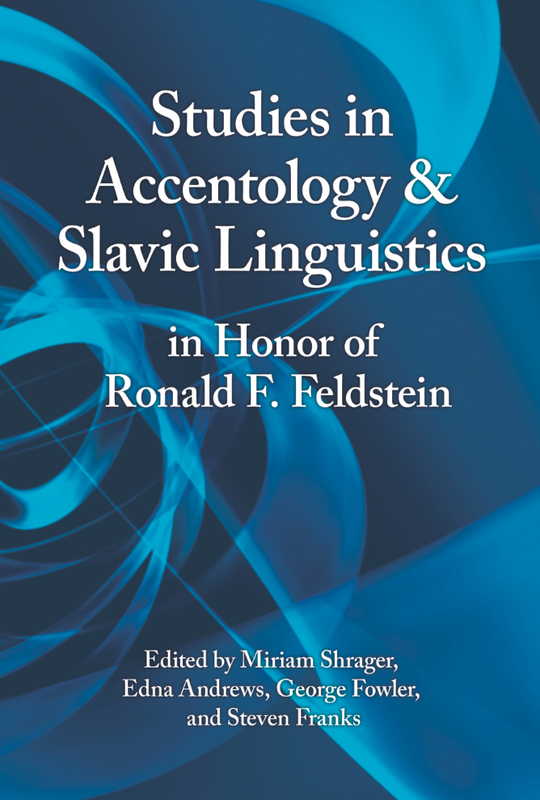 Ronald Feldstein has been a leading practitioner in historical and comparative Slavic linguistics, with a special focus on accentology, since the early 1970s, and his career has intersected with many prominent Slavists as students and colleagues. The book also includes two personal reminiscences and a bibliography of Professor Feldstein's publications.